In a medium mixing bowl, sift together flour, baking powder, baking soda, salt, cinnamon and ginger. In a large mixing bowl, using a mixer on medium speed, beat oil, brown sugar and granulated sugar until well combined - about 1-2 minutes. Beat in vanilla and eggs until combined - about 1-2 minutes. Beat in carrot, pineapple, pecans and buttermilk until combined. Reduce mixer speed to low and gradually beat in flour mixture until just combined. Divide batter into cake pans. Bake 30 minutes or until golden brown, well risen, and a toothpick inserted into cakes comes out with moist crumbs attached. Cool 12 minute on wire racks before running a knife around outside edges and inverting cakes out of pans. 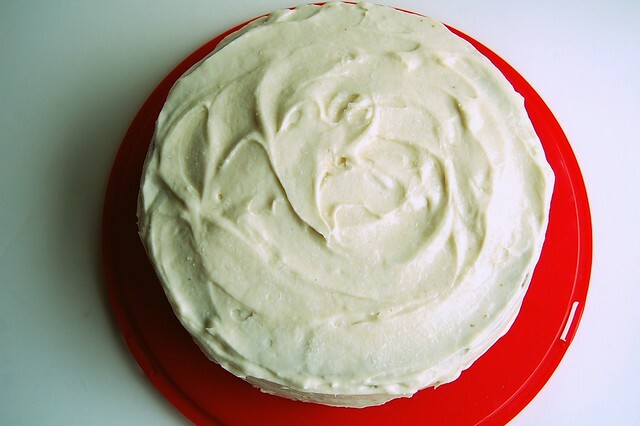 39 comments on "Carrot Cake"
I love carrot cake with cream cheese frosting! "By no means is this carrot cake healthy, but, it's actually lighter than a lot of carrot cake recipes out there. It doesn't have a ton of oil, butter, or sugar in it. Just a moderate amount"
Love your version of carrot cake. So true that a lot of these contains to much oil. This one looks perfectly moist and tasty! Good morning, Just wanted to say, thanks for the cute post. Carrot cake, huh? That caught my attention because I just posted my mom's carrot cake recipe, which is one of those -other- recipes you mention. 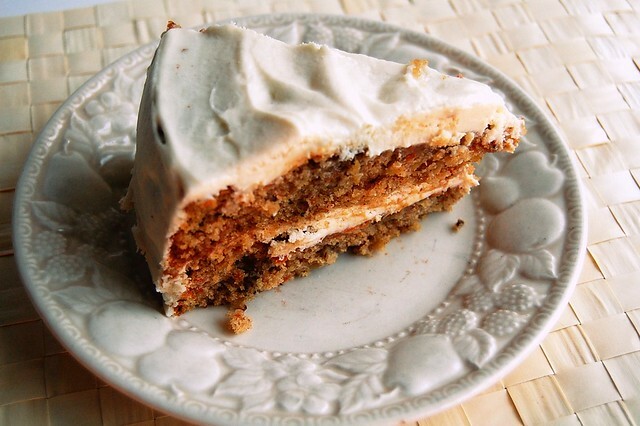 :) http://cookbookbites.blogspot.com/2011/05/moms-carrot-cake.html Must be spring for carrot cake to be "on the brain!" So glad you got kudos from your grandmother! carrot cake is my absolute favorite cake! right up there with hummingbird cake! i'm so glad yours has pineapple in it. :) i made my first carrot cake back in january and it was a success! surprisingly, the first cake i ever made was 3 layers. it was scary! Well, we all know you have a knack for it. Now with the new obsession for the word knack I am thinking of the band and I have My Sharona going through my head. Such is the downside of growing up in the 70s and 80s. Can't wait to see what you do with the strawberry dessert for Mom. In two weeks some friends are having a surprise landmark birthday party for my mom and I have been combing your blog for the cake I plan to make. haha you are so funny! Thanks for brightening my morning. The cake looks absolutely delicious! I love carrot cake, but I have never actually made one myself. Guess that will have to change! lovely, my favorite kind of cake :) will you make it for my birthday? i say go with margaritas and tres leches! Hilarious! I agree, you've got a knack! This looks great! Your comment on the Amish made me smile--when I was younger we used to go into the Amish stores just so I could buy piles of books on young Amish girls and I would dream that a Jacob would come pick me up in a buggy. When I grew up, I discovered that they make mean baked goods, so now I admire them even more! I definitely like the sound of your carrot cake recipe especially since it doesn't have a lot of oil/butter in it. I'm bookmarking this one for sure. My problem with blogging at night is that I end up with typos and stuff. My mind thinks one thing but that's now how I type it out! This sounds delicious. I haven't bake a carrot cake in forever. The frosting, though... that sounds really good. ive been so hungry for carrot cake!! this looks yummy! Haha this post made me smile unabashedly. Carrot cake is my FAVORITE kind of cake! Especially the double ginger kind. Amazing! Although I am having a blast seeing all the Cinco de Mayo related libations all over the web today, your carrot cake brought a smile to my face. It looks divine. My only problem with it is that I can't enjoy a big slice of it right now. I love Carrot cake, it looks really smooth! I'm very curious about the Amish market, I'd love to visit one. 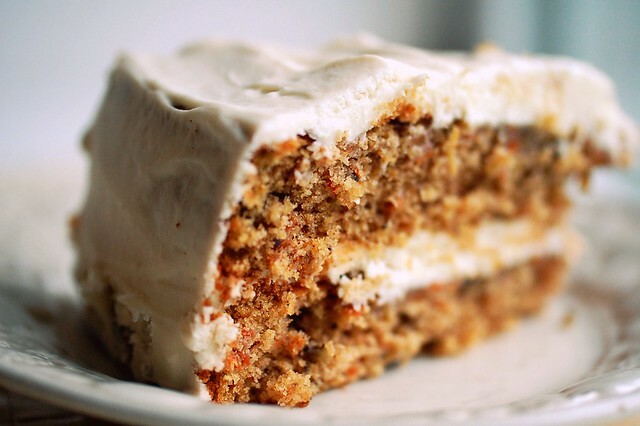 I say go for both but in the meantime we can feast our eyes on this luscious carrot cake. This looks so good! I'm making it right now. The only thing I didn't have was pineapple, so I used one apple. Hope it turns out fine! Carrot cake it the best kind of cake. Ever. I don't like super oily carror cake either. This recipe looks like a good balance! Carrot cake holds a special place in my heart. It is one of those cakes that has everything I love the most n sweets, cream cheese, salty but sweet, a little dense but perfectly moist! The best part is it has veggies so it is good for you- right? LOL! oh my lawd, em, that cake looks most delicious!!! i do believe your gram is right, you have a knack for these things!!! I haven't made carrot cake in way too long, before the days of the blog. MUST make soon---yours looks great! Yep, the grandma approval always makes you feel good! MMMMM I LOVE LOVE LOVE CARROT CAKE! I am absolutely fascinated with the Amish. Any time there is an Amish movie or documentary on TV, we tape it. Next time I come to Missouri, we simply must go to that Amish community and make some new friends. Carrot cake is my absolute favorite and your version looks amazing! Could not think of a better way to celebrate Cinco de Mayo than a slice of carrot cake and a margarita!! 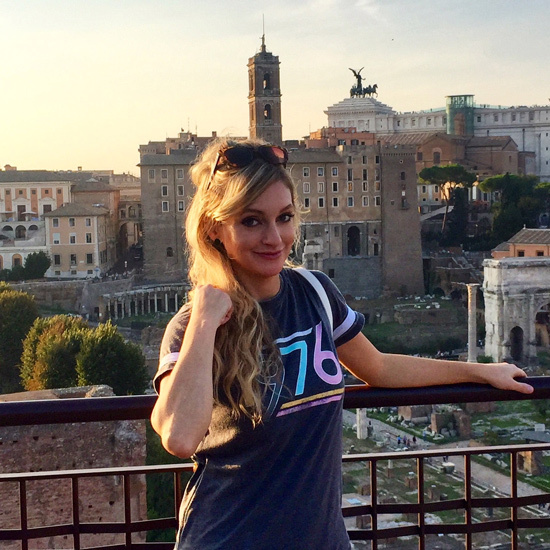 Thanks for intruding us to your blog! You have been added to the Better Recipes blogroll. Feel free to add The Daily Dish to yours! http://www.betterrecipes.com/blogs/daily-dish/ I look forward to reading more of your stories and recipes! Your carrot cake is brimming over with goodies. I could go for a piece, now. Think, it is time, to bake a carrot cake. It has been a while. Aww Rachel, that's sweet! I hope you find something. What does she like? Cookie Monster, did you like it? Thanks for trying it! Sally, I've been craving it! I have to make tres leches soon. Connie, it's the fifth of May. It's Mexico's independence day. well, if grandma approves, it must be a success! 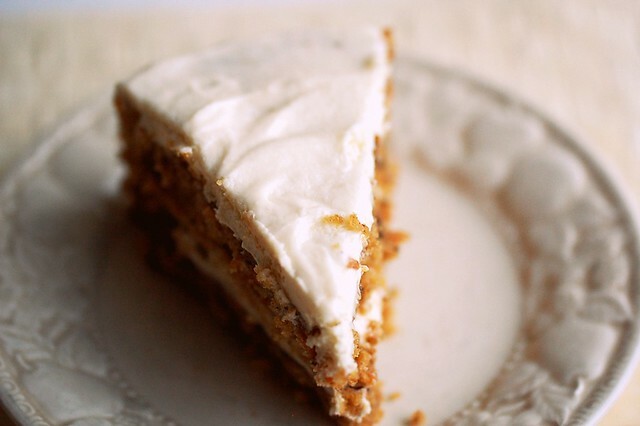 carrots are one of my least favorite veggies, but carrot cake goes onto my list of top 5 desserts. looks luscious! I'm intrigued by how little oil this cake has -- I'll have to try it. Have you considered using walnut oil? I combine toasted walnut and flavorless vegetable oil in my carrot cake and it works really well.